This large personalised crochet bag is perfect for storing your wool stash, bigger projects, or holding your wool while you crochet. 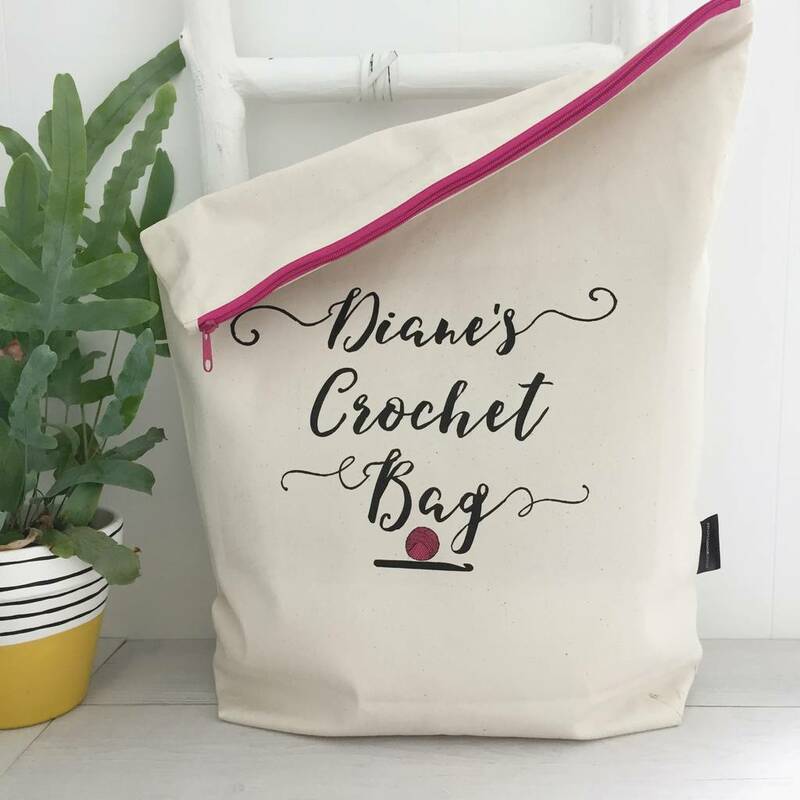 The bag reads '*Name's* Crochet Bag' and can be personalised with any name or title you like. 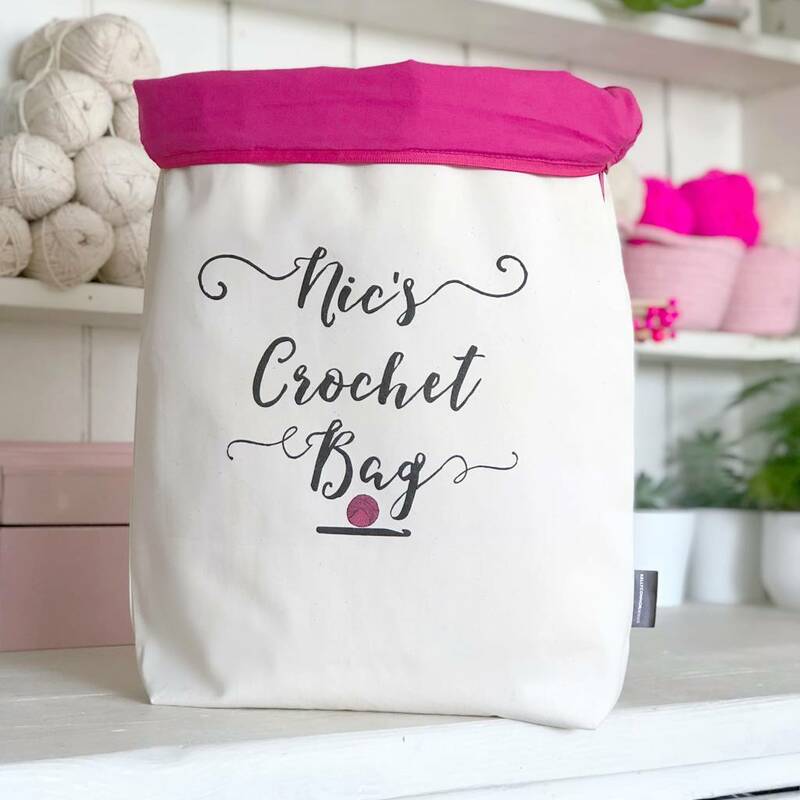 This crochet bag is perfect for holding your wool while you crochet, just roll the top down and it makes a nice wool bucket! 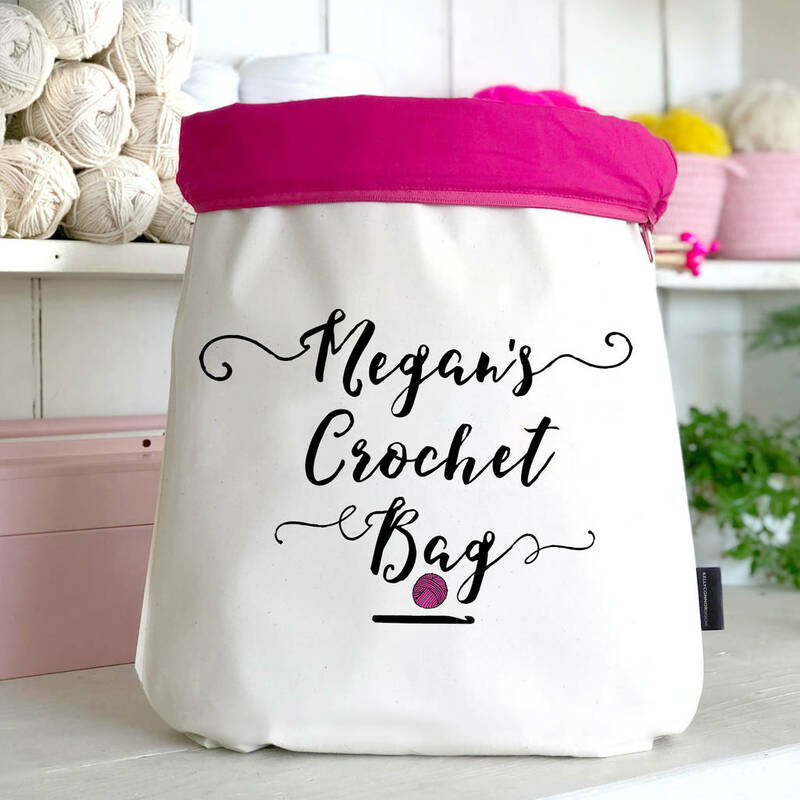 Then zip it back up and it will keep your latest project tidy and dust free. 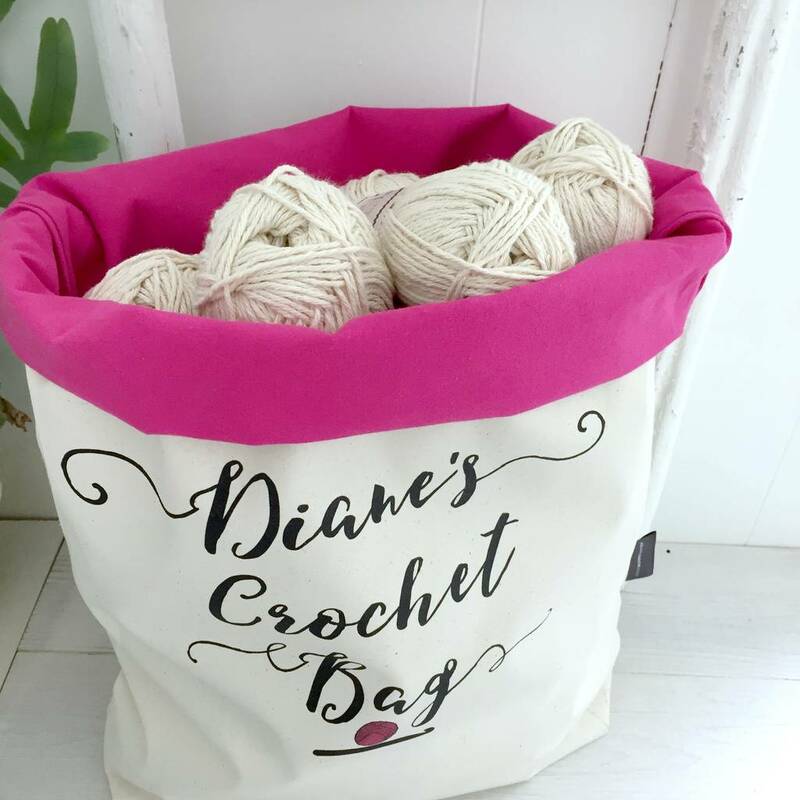 It's larger than our standard totes so there's more room for wool or your latest work-in-progress. Available with a pink or black zip and matching lining. 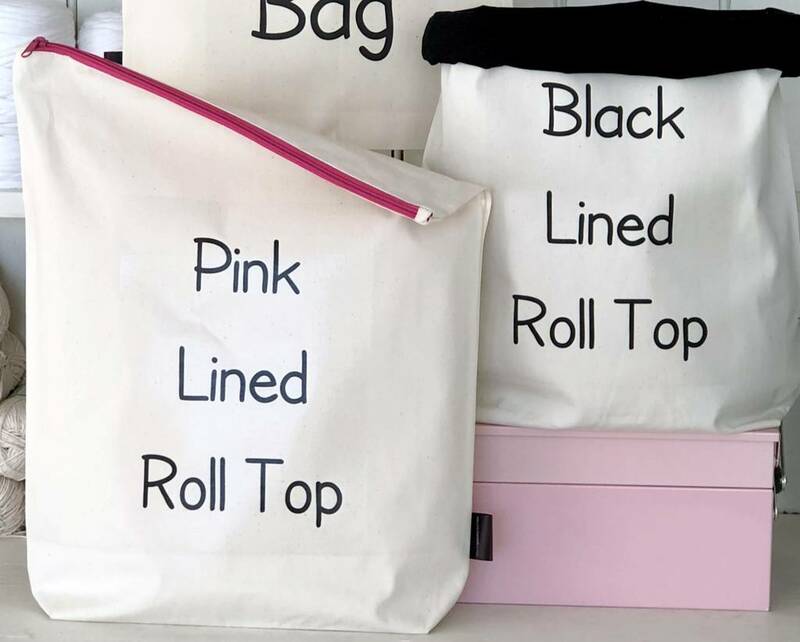 Canvas bag approx: W40cm x H50cm with 10cm base. Zip top. This product is dispatched to you by Kelly Connor Designs.